PEMEX has large oil & gas production offshore in the Gulf of Mexico. Each platform generates its own electricity to power the production equipment and living quarters. Produced wellhead gas is burned in the combustion turbine generators to produce the electricity. These state-of-the art combustion turbines are designed for maximum efficiency and low emissions. Clean, dry natural gas is essential to the the combustion turbine performance. 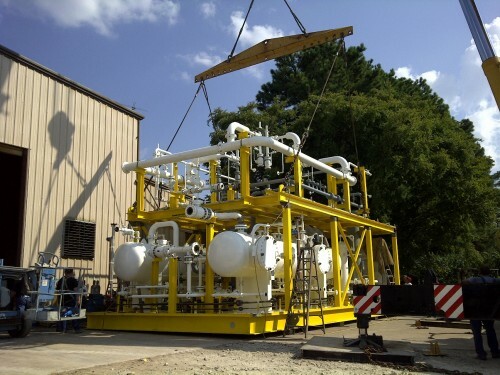 IFS was contracted by PEMEX to design and build several Wellhead Fuel Gas Conditioning Systems for these offshore platforms. 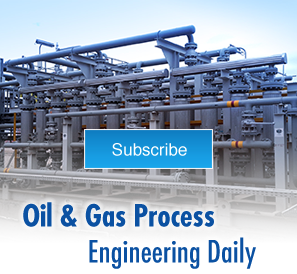 Wellhead natural gas is used for fuel in modern combustion turbine generators. The wellhead natural gas contains contaminants like liquids, particulates, H2S, CO2, etc. In order for there combustion turbines to perform at maximum efficiency and low emissions, clean, dry purified natural gas must be used as fuel. IFS designed and supplied several Wellhead Fuel Gas Conditioning Packages to PEMEX to remove contaminants from the wellhead natural gas. 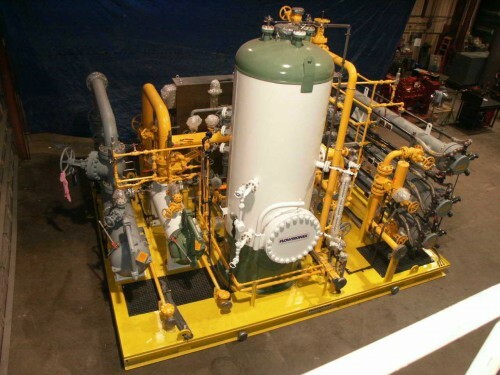 The Wellhead Fuel Gas Conditioning Package and Combustion Turbine Generator are the backbone of production platforms and living quarters. 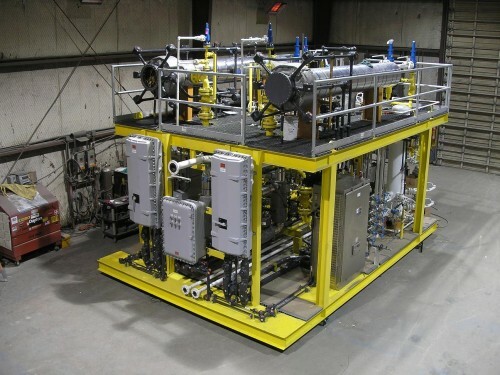 Since the Wellhead Natural Gas composition is different at each location, IFS used Aspen Process Simulation software to properly size the Wellhead Fuel Gas Conditioning Package components. 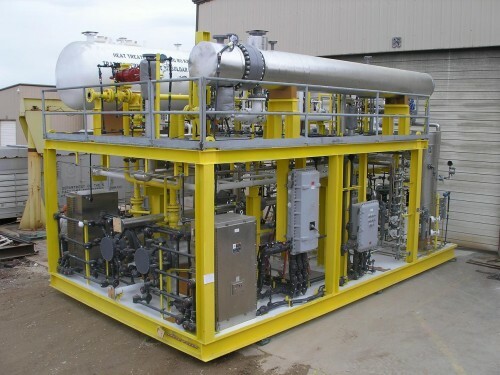 Additionally, IFS properly designed and built the Wellhead Fuel Gas Conditioning Packaging to ensure that the combustion turbine operated efficiently, emissions were reduced, and maintenance was low.